Q.1What is LASIK Laser Eye Surgery? LASIK is an acronym for Laser In-situ Keratomileusis. Kerato means the cornea, and simileusis is Greek for carving or sculpting. It is called in-situ because surgeons work with the cornea while it is part of the eye. The first surgeon to perform this surgery was Professor Iaonnis Pallikoris from Greece in 1990. Dr Phil McGeorge has been performing this surgery at Perth Laser Vision since 1997. LASIK is a procedure designed to correct the refractive error of patients who are short sighted, long sighted or astigmatic by reshaping the corneal surface of the eye. The cornea is the transparent window at the front of the eye. The operation is performed under local anaesthetic eye drops to numb the surface of the eye. No needles are required. LASIK involves the creation of a very thin layer (or flap, since it remains attached) on the surface of the cornea, which is folded back, exposing the raw area beneath. The laser is then applied, re-shaping the underlying surface for the correction of the refractive error. The flap is then replaced and bonds rapidly with the cornea without requiring any sutures. The flap acts like a natural Band-Aid, allowing for rapid healing, minimizes post-operative discomfort and risk of infection. Most people are able to return to their normal activities within 24 hours. Q.2How much does the LASIK cost? Is it covered by private health funds or Medicare? A FREE assessment by our refractive surgery staff is available to assess your suitability for refractive surgery. As every eye is unique, the extent of your surgery requirements will determine your exact costs. After an assessment to determine your needs, we will provide you with a quote for your surgery. An initial assessment and consultation with Dr Phil McGeorge costs $152. A referral is not necessary but Medicare will provide a higher rebate of around half of this fee ($73.83) if you obtain a referral from your a GP or an optometrist. If no written referral is provided, Medicare will only provide a rebate of around $21.00 to $38.00 on your initial specialist consultation. In Perth, laser eye surgery generally costs between $6,000 and $7,500 for both eyes depending on your requirements. Some Health Funds do cover the full cost of the surgery, others cover part of the cost, depending on the fund and the level of cover – please check with your private health insurance. Q.3What steps do I need to take to have LASIK eye surgery? You will need an assessment appointment to find out if you are a suitable candidate for LASIK. It is usual to get a referral letter from either an Optometrist or your GP to see the surgeon. This is not essential, but it will help to reduce the Medicare gap payable for the initial consult. Soft contact lenses must be left out for seven days prior to your consultation and hard contact lens for one month. This is because the lenses change the natural shape of your eye and may give inaccurate results during testing. Q.4How long does the LASIK eye surgery procedure take? LASIK takes around 8-10 minutes per eye with less than 10 seconds of actual laser treatment time usually. You could expect to be at the Perth Laser Vision for about 1 hour on the day. We ask that you have a restful day after your procedure, and recommend that you sleep or rest with the eyes closed to assist the healing process. Q.5What happens if my eye moves during LASIK surgery? Our eyes are never completely still even when we look at a small target. Small movements of drift and minute darting about called micro-saccades occur. Different mechanisms are used in LASIK to counteract these movements. With the Wavelight FS200 laser, used to make the corneal flap, a plastic ring (fixation device) is positioned over the white of the eye to hold the eye in place, therefore minimizing your ability to move during this delicate part of the procedure. The laser machine then controls most movement although it can be over powered if you really try (please don’t!). The Wavelight EX500 Excimer laser smooths the surface of the eye with a new surface and is fitted with iris recognition and an infrared eye-tracker which is locked in position prior to the commencement of the excimer laser. This eye-tracker measures eye movements during surgery over 1000 times per second and is capable of following any small micro-saccades and actively adjusting the laser beam to a new position as those small movements are detected. This provides excellent safety and computer control. If your eye moves suddenly too far for adjustment or if the eye tracker simply can’t find the appropriate spot to laser it will not fire the laser, the lasering stops and can be restarted once you find the fixation target light again. Q.6Can family and friends accompany me on the day? Yes, they are more than welcome. If they wish to watch your procedure a viewing room is provided. You will need a driver for the day of your LASIK eye surgery and for your after surgery visit the next day. Q.7How long will it be before I can see clearly? Vision change is immediate. You will be able to see your surroundings instantly following your LASIK eye surgery. Plastic shields cover and protect your eyes for 24 hours after the procedure and may fog initially and blur your vision. Within 5-6 hours after surgery, any discomfort and watering usually settles and your vision is typically quite clear. Q.8Can I drive after my procedure? How long before I can return to work? No, you cannot drive home. A mild tranquilizer (Temazepam) is given and driving is forbidden under the influence. You will usually feel a little sleepy after surgery, your eyes will water and will want to close. You can not drive until you have been seen by the surgeon the day after your procedure and had the plastic shields removed. Returning to work depends on the type of work that you do. The recovery time is rapid, but reading the computer screen (or reading in general) may be difficult for the first two weeks while the tissue is healing. Minor visual clarity changes are also common within the first 10 – 14 days post-operatively. If you work in a dusty or aquatic environment it may be advised to take a short period of leave following surgery, perhaps a few days. Otherwise normal safety glasses precautions may be sufficient. A medical certificate can be arranged by LASIK staff. Q.9How long has Perth Laser Vision Centre been performing LASIK refractive surgery? Dr Phil McGeorge has performed LASIK at Perth Laser Vision since it was first established in 1997. Over 30,000 LASIK procedures have been performed at Perth Laser Vision since then. Q.10What is my chances of seeing 20/20 or better? This depends on the refractive error to be treated. 96% of individuals with Myopia or shortsightedness less than -10D, can achieve 20/20 vision following LASIK. Nine out of ten of those with high levels of astigmatism (up to 6D) and myopia can also expect to achieve 20/20 vision. For those individuals with hyperopia or long-sightedness the results are similar, those with low to moderate levels of hyperopia up to 94% achieving 20/20 or better. Q.11Can I speak to someone who’s had LASIK eye surgery? We do have a testimonial brochure that is provided to patients on their initial consult. Most patients attending our clinics are more than happy to share their experience. Some of our staff members have had Lasik surgery and are happy to take the time to chat with you. Q.12Can Laser work for all types of eye disorders? LASIK is the most common type of refractive laser surgery today and is used to correct long-sightedness, short-sightedness or astigmatism. Conditions such as Macular Degeneration, Diabetic Retinopathy and Glaucoma cannot be treated with this type of laser. These conditions may be treated using other types of lasers but this depends on the extent of the condition, and you would be best advised by your specialist. Perth Laser Vision provides laser treatment for other medical conditions also. Q.13What do I do with my glasses now that I no longer need them? 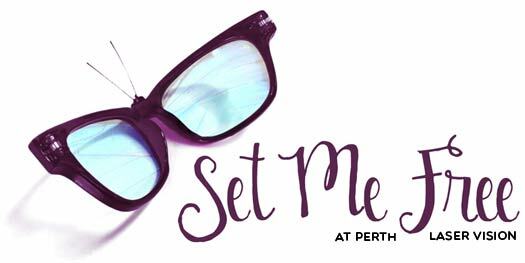 Perth Laser Vision has established a spectacle collection service with CBM Australia through their Second Chance Medical Equipment Program (SCME). This worldwide organisation is dedicated to the prevention and curing of blindness as well as education and rehabilitation of people who are blind or have other disabilities. We collect the glasses at our centre and then send them to CBM Australia in Victoria. At the Victoria branch they are sorted, cleaned and graded. From here they are distributed to developing countries such as East Timor, Nigeria, Cambodia and Burma. Q.14How soon can I play sport after surgery? We advise that you avoid swimming and contact sports for one month after surgery. Visiting the gym is fine, as is cycling, jogging etc. LASIK is not suitable for Boxing or other sport where eye injury is possible or expected. PRK is more suitable for these sports.